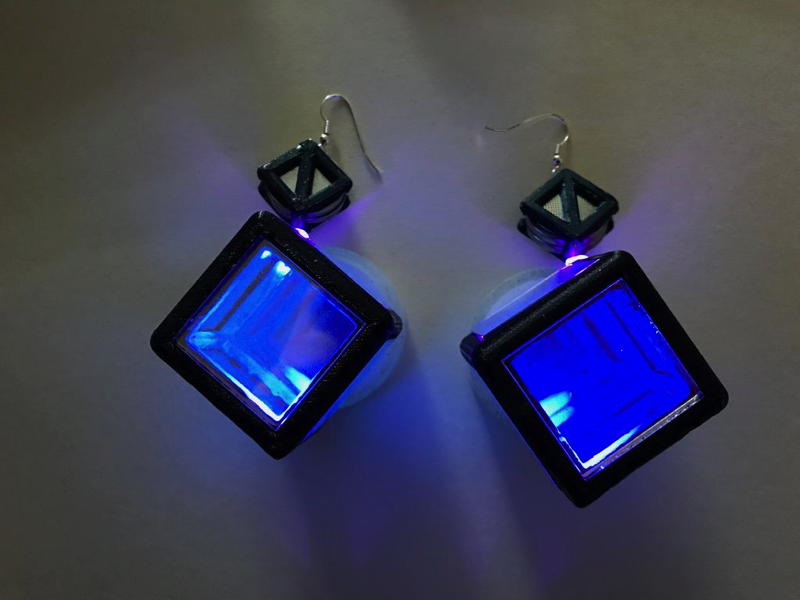 #3DPrinted Infinity Earrings #WearableWednesday « Adafruit Industries – Makers, hackers, artists, designers and engineers! Reusing some left over spy mirror acrylics (because we didn’t want to throw away stuff) and experimenting with UV light. While the big led cubes can be scaled up easily, for smaller cubes using LED stripes become to complicated and take to much space. Therefore we needed another light source for the columns. Thats why i exchanged the active stripes with the passive fluorescent material, enlightened by a single LED.